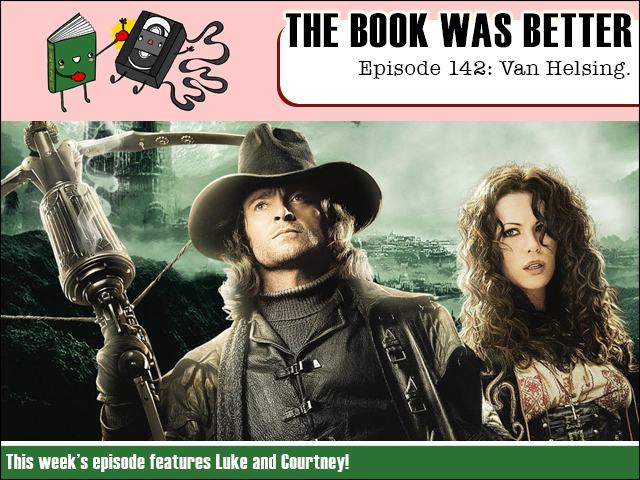 In this spooky Halloween episode we endure the novelization of ill-fated Hugh Jackman monster mash: Van Helsing! And who better to join me on this bitter trek than fabled monster enthusiast Courtney Coulson? Thrill as Van Helsing consistently fails at things! Be shocked as Van Helsing showcases his complete lack of knowledge! Laugh as Van Helsing repeatedly chokes his friends! This may be the scariest tale of all!